Toro Bravo Salt Cod Fritters window a la Sara and Zo! I have the best friends. So grateful. Several weeks ago my friend Chris Damcke said we should have a potluck dinner party and invite everyone to cook and bring something from Toro Bravo: Stories. Recipes. No Bull. I said that was a great idea and then pretty much left it at that because I felt too busy to organize it. A couple weeks ago I got a call from my friend Loly inviting me to it at her place! She and Chris made it happen. Sooooo last weekend thirteen of us gathered at Loly's with all sorts of tasty treats cooked from the book. We filled her kitchen, dinner table and our bellies with all sorts of deliciousness from Toro Bravo. It was so great that we decided to do it again next month -- this time at Tom's house. We've also decided to have these parties until we cook through the entire book. I've never done this with any cookbook before but I hope to do more in the future. So fun! And I'm very proud to say that no one had any problems with any of the recipes -- not a one. It was all so good and so fun. Here's the menu from our first Toro Bravo cookbook party followed by photos from it. I can't recommend this sort of dinner party enough. Leave any questions about it in the comments below and please, please let me know if you've done something similar yourself. I'd love to hear about it. Eat, drink and be merry! Table FILLED with Toro Bravo cookbook food and drink! Ryan and Nancy on Toro's Chili Shrimp detail. Photo by Faulkner Short. Chris checking Toro's cold-smoked Coppa. Photo by Faulkner Short. Dana and Oliver putting the finishing touches on Toro's Harissa-Stewed Butternut Squash. Photo by Faulkner Short. 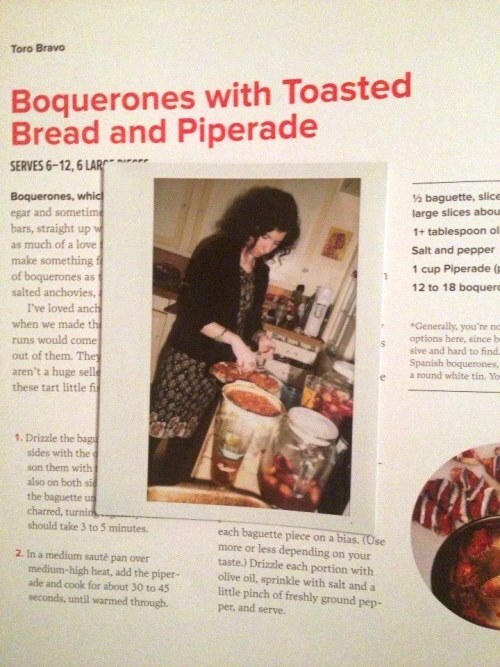 Me plating Toro's Boquerones with Toasted Bread and Piperade. Photo by Faulkner Short. Sara and Zo frying up Toro's Salt Cod Fritters on Loly's front porch. Photo by Faulkner Short. Loly and Faulkner post-Radicchio Salad prep. Photo by Chris Damcke. Ryan and Nancy taking on the feat of trying all the Toro book foods. The Chili Shrimp a la Plancha that they made. Mmmmm. Tom's Toro Potato Salad with chorizo. 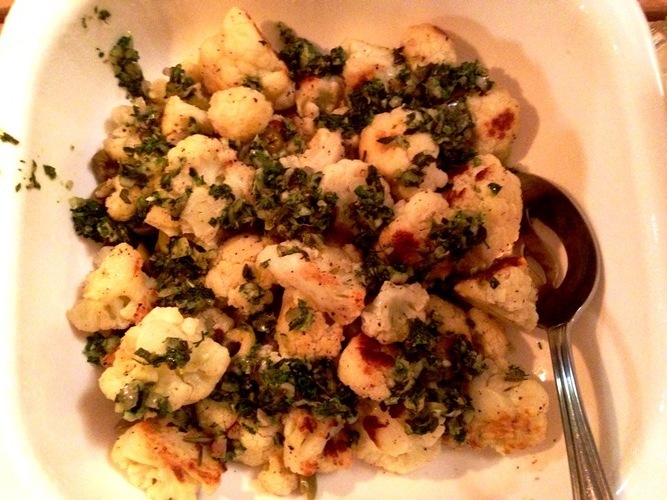 Ryan and Nancy's Seared Cauliflower with Salsa Verde from the book. My Toro Boquerones with Toasted Bread and Piperade. Toro's Panna Cotta by Chris for dessert -- some with wine-poached pears and others with Campari blood orange syrup. Wine cork Olympics post-dinner with Tom and Oliver. If you decide to host a dinner party like this please, please let me know and send me photos! I'll post them here. So fun. Eat, drink and be merry AND hairy! The bulls have been running and we've been running hard for the past few weeks with stops on the Toro Bravobook tour in Brooklyn, Baltimore, D.C., Jersey City and more. The East Coast portion of the tour was pretty rockstar with five to six of us depending (chef-owner John Gorham, me, charcuterie manager Josh Scofield, book editor and Lucky Peach managing editor Rachel Khong, DJ Waffle aka Mike Wathen, John's brother Brian Gorham) riding from one stop to another in a stolen rented van. Our friend DJ Waffle from Jersey City played sweet tunes at every event, Toro's charcuterie manager Josh Scofield cooked and served up all sorts of treats from the book, John, Rachel and I held discussions about everything that went into the book and, of course, there was always plenty of cava and Basque cider flowing. We definitely burned the candle on both ends just like we did this time last year when we were in Madrid and Barcelona for the book. And just like that trip we never got any more hours of sleep a night than can be counted on one hand. We hit it hard and it was a blast. All of the events were super well attended and fun, fun, fun. Thanks to everyone who came out and made them just that. We love you and we couldn't be happier with how well the book has been received on the road, in the wide world and here at home in our beloved Portland. Very happy. Rather than write about each event at powerHouse Arena, Atomic Books, 826DC and Jersey Wine & Spirits I'm going to throw a whole bunch of photos up here and you can see for yourself. Hope you're doing well, eating well & reading all sorts of great books! Our first night! Book event at powerHouse Arena in Brooklyn. So fun! Photo courtesy of Krzysztof Poluchowicz. Rachel and me with the bullseye of a book! Next stop D.C.! At 826DC pre-event with executive director Joe Calahan. John and his brother Brian. Looooove Brian! Rachel and me in 826DC's Museum of Unnatural History. Josh's incredible spread of foods from the book. Family affair. Left to right: John's aunt Robin, brother Brian, stepdad Gene, John and I.
Laaaaater that night Waffle, John and Josh at Toki Underground. Loved it so much! This explains the above photo. John ordered A LOT of "desserts" for the kitchen. Mystery NPR interview shot that will run very, very soon! Waffle at Kabob Palace in D.C. where John filled the table with food as he does and we ate as if we hadn't eaten in days. Really good. Our talk at Atomic with slides from the book. DJ Waffle in the house! Road food on the way back to NY -- Bojangles! Jersey City Wine and Spirits! Eating, drinking and being merry. Into Manhattan and last meal in K-Town at Cho Dang Gol. 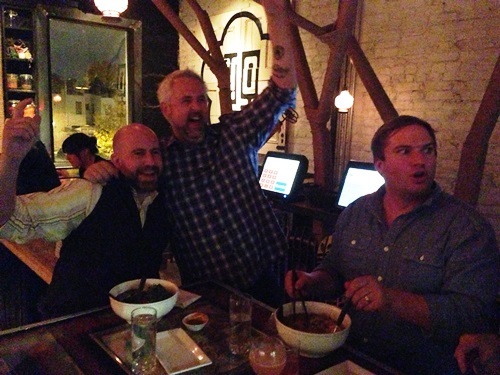 Thanks to everyone who came out and ate, drank and was merry with us! We had an incredible time and want more! We're thinking the next tour is going to be a Midwest one. More details soon here. Till we meet again! 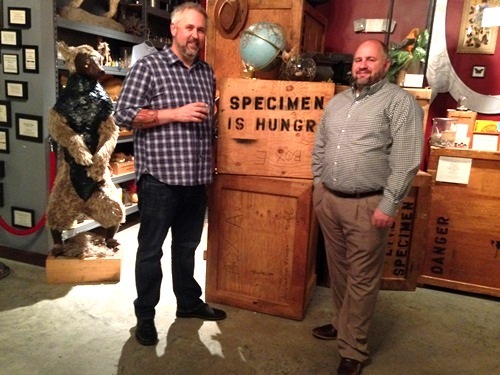 John and I on KGW news at the Toro Bravo cookbook launch party mid-October. East Coast we're heading to you! In less than a week we'll be all up in your business with Toro Bravo: Stories. Recipes. No Bull. The bulls are running and we've got a lot of horns pointed in your direction for book events in New York, Baltimore, DC and Jersey City. Our entire remaining tour schedule can be found here. The East Coast bulls include John and me, McSweeney's editor Rachel Khong, Toro's charcuterie manager Josh Scofield and tour DJ extraordinaire Mike Wathen aka DJ Waffle. At every event we'll have food, music, drink and books along with a discussion between John, Rachel and me about everything from blood sausage to red pants wearing Spanish men. It's going to be a whole lot of fun and we hope we get to see you at one of more events and/or that you'll be so kind as to help us spread the word about them. The more in attendance the merrier! We've also had some great media lately since the book came out less than a month ago that I'm shouting out here. We have some very exciting media planned for the East Coast (one in particular!) that I'm itching to share but can't quite yet. After these links and the tour info. 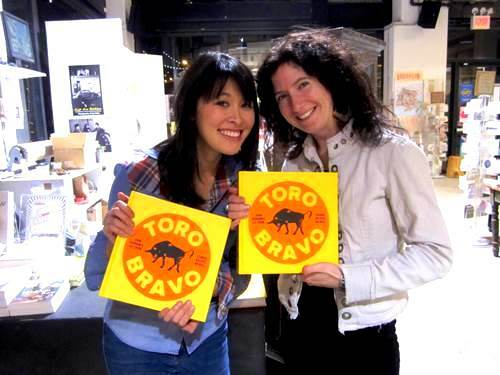 there are a bunch of photos from recent Toro book events. Recent media for Toro Bravo: Stories. Recipes. No Bull. East Coast events for Toro Bravo: Stories. Recipes. No Bull. Tuesday, Nov 19th: Toro book event at The POWERHOUSE Arena With John Gorham, Liz Crain & Rachel Khong DJ Waffle 37 Main Street, Brooklyn NY 11201 7 p.m. Details here. 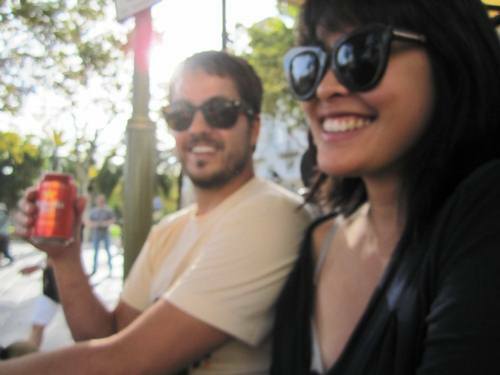 Thursday, Nov 21st: Toro book event at 826 DC With John Gorham, Liz Crain & Rachel Khong DJ Waffle 3233 14th Street NW, Washington, D.C. 20010 Details to come. 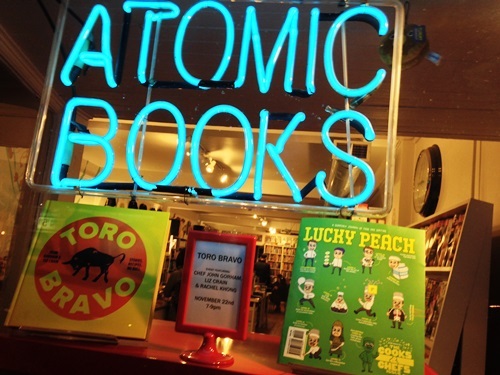 Friday, Nov. 22nd: Toro book event at Atomic Books With John Gorham, Liz Crain & Rachel Khong DJ Waffle 3620 Falls Rd., Baltimore, MD 21211 Details here. Saturday, Nov. 23rd: Toro book event at Jersey Wine & Spirits With John Gorham Liz Crain & Rachel Khong DJ Waffle 492 Jersey Ave., Jersey City, NJ 07302 More details to come but for now: 4-9pm book signing and tasting with John, Rachel & me, local acoustic music & wine tasting with Liz Farley and Kermit Lynch. 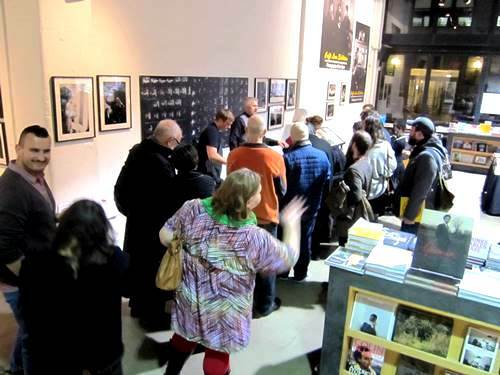 And last but not least, some photos from the whirlwind of recent events since the book launched a little less than a month ago. Phew! See you soon I hope. Be bullish! 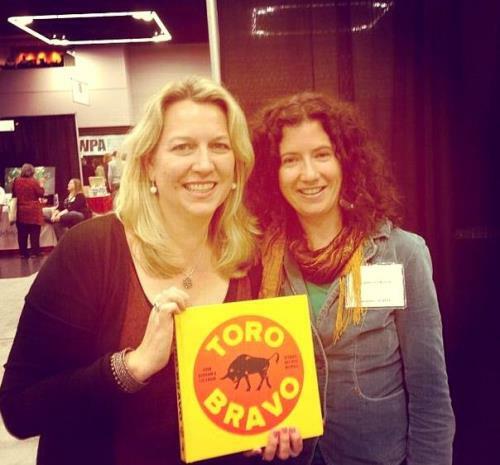 Me and the amazing Cheryl Strayed who blurbed the book and has been huuuugely supportive at Wordstock! Our McSweeney's publicist extraordinaire Isaac Fitzgerald pimping the book at the McSweeney's booth at Wordstock. David, John and I after our Powell's reading. Renee and John right before we opened the doors for the book launch party. The three of us well into the launch party merrymaking. Josh, Renee and John in the green room for Live Wire! Episode 231. John and I after the Live Wire! taping. At the Powell's warehouse signing books...Powell's bestseller books! At Copperfield's Books in Santa Rosa for a Toro Bravo reading/tasting. Laaaaater that evening with our McSweeney's publcist Mr. Isaac Fitzgerald. Signing books at Green Apple Books in San Francisco. Signing books at Omnivore Books in San Francisco. Last but not least John and I demo'ing bacon-wrapped dates for a book event at Baker & Spice's The Cakery for their Pages to Plates series last week. Come out and party with us! • Sidra De Nava Tasting by Virtue Cider • Live Music by Get a Life Marching Band • Tapas & Cocktails • Book Signing • Q&A with John and Liz • At 8pm The Century and Thanks will perform upstairs at The Secret Society. 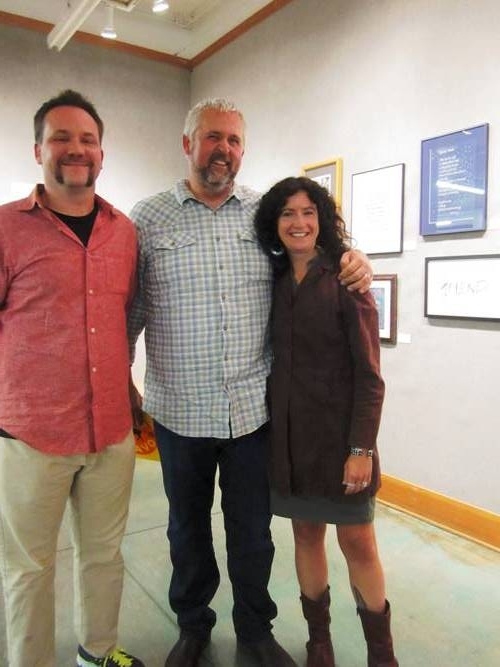 If you didn't get a chance to hear Toro chef-owner John Gorham on OPB's Think Out Loud last Friday here's the link. It's a really great interview. And we've got more events lined up (tour schedule) for the cookbook including a panel with the Le Pigeon folks this coming Sunday at Wordstock. Maybe we'll see you there? Got my first advance copy in the mail of the Toro Bravo cookbook! It's real! I got my first advanced copy of Toro Bravo: Stories. Recipes. No Bull and I couldn't be happier about it. Two and a half years in the making and it's finally here! The launch date is October 15th but you can pre-order copies from Powell's, McSweeney's and Amazon now. We're going to seven cities so far for the book tour this fall -- New York, D.C., Baltimore, San Francisco, Boise, Seattle and Eugene. Below are events that we've already slated in Portland and beyond including the book launch party on Wednesday, October 15th at Toro. I'll keep updating with posts here as we add new events. If you're interested in having us visit for a book event or any sort of media please contact McSweeney's director of publicity Isaac Fitzgerald. You'll like him. He's really nice. Portland Wordstock panel -- On and Off the Menu: PDX Chefs Sunday, October 6th noon John Gorham, Liz Crain, Gabriel Rucker & Meredith Erickson for the Toro Bravo and Le Pigeon cookbooks Moderated by Karen Brooks Wordstock event description: "Two famed Portland chefs. Two books hot off the cutting board! What does it take to convert perfect food from restaurant plate to cookbook page. These panelists are shaken not stirred." Mario Batali thinks you should PRE-ORDER THE BOOK! 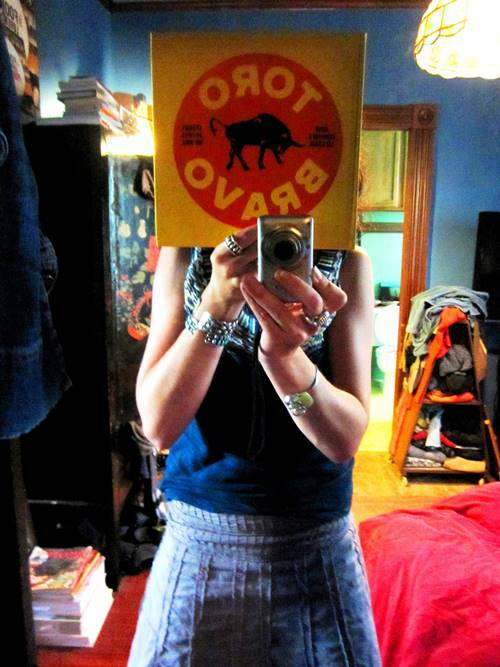 One of David L. Reamer's many amazing photographs in Toro Bravo: Stories. Recipes. No Bull. Back of the book with all of the fantastic blurbs from Mario Batali, Cheryl Strayed, Gus Van Sant, Carrie Brownstein, Paul Bertolli and Karen Brooks. And the beautiful spine. Love! Walter Green's beauty of a cover. 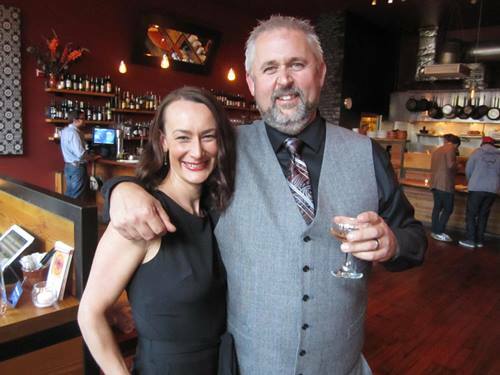 Revel in Portland Volume 1 profiles Portlanders including Toro Bravo chef-owner John Gorham. A few weeks ago I got a complimentary copy of Revel in Portland in the mail since Toro Bravo chef-owner John Gorham is featured in it (we're currently working on the Toro Bravo Cookbook due out from McSweeney's Oct. 2013) along with nine other creative folks in Portland including illustrator Carson Ellis, filmmaker Lance Bangs, and architect Jeff Kovel. There's a Q&A with each person in this pocket-sized book filled with beautiful matte art and photos that's followed by a descriptive list of their favorite Portland places. There are three Revel in New York books already and the group is looking to expand with books for Austin, Miami and Los Angeles next year. It's a fun, inspiring read that makes me proud to be a Portlander. Although the group hasn't secured significant distribution yet you can find Revel in Portland at Reading Frenzy, Ampersand, Heart Roasters, Albina Press and you can also purchase it directly via their site. "The Revel In Portland Guidebook is a celebration of the Portlanders who wear their hearts on their sleeves. Artists, chefs, musicians, designers, filmmakers, troublemakers, and our city's most interesting characters. 10 interviews, pictorials and 72 personal recommendations." John Gorham's chapter in Revel in Portland Volume 1. I really will get back to more regular blog posting at some point but it's just happened to be one of those things that's gotten a little bit of the boot during the past several chock-full months. These are always fun ones to do though because they're quick to put up and give you a little eye candy. We're still busy at work on the Toro Bravo Cookbook due out from McSweeney's fall 2013. I took this photo in November during our last major recipe testing day. We'll still continue to test right up until the book goes to print but this was our last big push for formal testing. I wish you could have tried this house paella. Perfect. Just off the plane from Madrid John and David cava in hand at Quimet Quiemt in Barcelona. One of my favorite spots from the trip. A couple weeks ago I posted about the first part of our trip to Spain -- to Madrid -- late September for the Toro Bravo Cookbook and this week I'm posting about the second part of our trip, in Barcelona, with Toro Bravo's chef-owner John Gorham, our McSweeney's Books editor Rachel Khong, the book's photographer David Reamer, the restaurant's chef de cuisine Kasey Mills and charcuterie manager Josh Scofield. Our tiny table at Quimet Quimet filled quickly with tapas. These tinned razor clams, mussels and calamari were super tasty. Another view of the tiny but mighty Quimet Quimet in Barcelona. If only this was in Portland. John and Josh checking out one of the many processions of the last day of the La Merce Festival -- Barcelona's largest annual street festival. We got the grand tour of Avinyo Cava that's been run by the same family since 1597. Toro serves Avinyo's cavas and wines so we toured the caves here, the production facility and, of course, tasted cavas, wines and house vinegars. Our last day in Barcelona. Sad but true. Kasey and Rachel in a happy blurry sunny haze. Viva Espana! You can check out the first part of our trip to Spain -- in Madrid -- here. Toro Bravo chef-owner John Gorham digging in to fried brains at Madrid's Taberna Bola. Open since 1870. In late September I was lucky enough to get to go on an eat/drink pilgrimage to Madrid and Barcelona for the Toro Bravo Cookbook with Toro Bravo's chef-owner John Gorham, our McSweeney's Books editor Rachel Khong, the book's photographer David Reamer, the restaurant's chef de cuisine Kasey Mills and charcuterie manager Josh Scofield. We hit the ground running and only slept a few hours a night the entire trip so we could maximize or eating/drinking/exploring time. The last time I'd been to Spain was in 1996 when I'd I worked on a culinary herb farm via WWOOF for three months a couple hours outside of Madrid in the Extremadura region. At the end of my work stay I traveled around a quadrant of Spain -- to Toledo, Cordoba, Sevilla, Cadiz, Malaga, Granada and more -- with my mom and grandma who came to visit me there. It was a magical time for me and I was so excited to find out that I would get to return 16 years later with the brave bulls for the cookbook. And just a word on how extremely generous Toro Bravo chef-owner John Gorham is: he bought all of our tickets, paid for our hotels, paid for a major meal every day during the trip and then some. Forever grateful. Incredible. Langoustines on ice at the Mercado de San Miguel just across the street from our hotel near Plaza Mayor. First bites and drinks at the same market fresh off the plane. Meaty goodness at one of Madrid's many Museos del Jamon -- a cured meat chain there. John took us later that night -- still no sleep -- to the Argentinian steakhouse De Maria Parrilla for their grilled sweetbreads and chimichurri that he'd loved on a previous trip to Madrid. Josh (next to John) liked them a lot and so did we. Kasey serving up Taberna Maceiras' house specialty arroz marineiro for brunch the next day. Funny menu at a cafe in Retiro Park. One of my favorite parks in the world. Went here every time I visited Madrid when I was in Spain in 1996. David is not about to eat that entire roasted suckling pig on his own. Dinner at Sobrino de Botin -- the oldest restaurant in the world. Open since 1725. Churros and chocolate at Chocolateria San Gines. Where all the staff hates you if you aren't Spanish but you don't care because you are still slightly drunk from the night before. This was taken at the end one of the best meals that we had in Madrid. 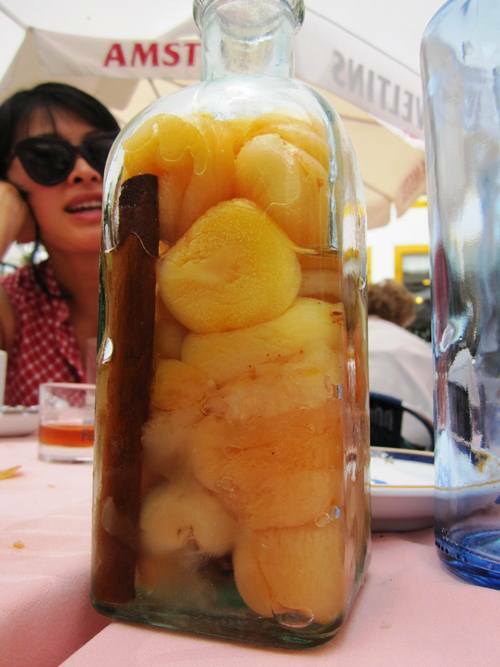 That bottle is filled with a really tasty housemade peach liqueur. Go to Portobello if you're in Madrid -- some of the best food of the trip. 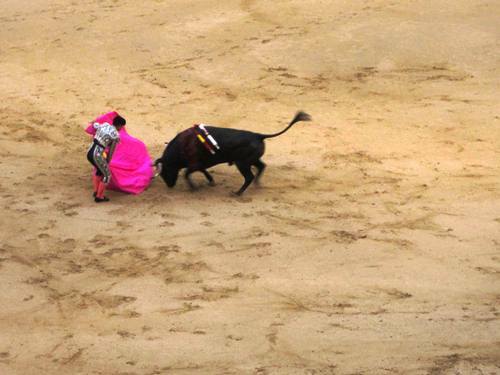 Of course we went to a bullfight on our last night in Madrid. Can't think of a better closing shot for the brave bulls' trip to Madrid. Stay tuned for the next installment -- Barcelona!